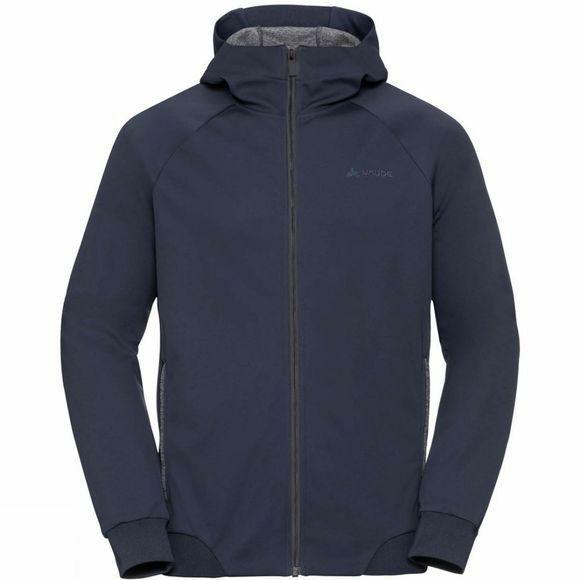 The Mens Amiston Jacket from Vaude, allows for a fresh look for a fresh start! 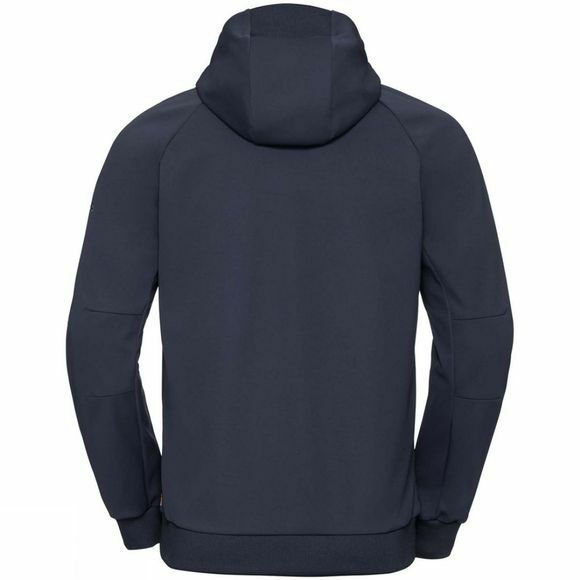 This youthful and sporty men's hooded jacket is made from easy-care, environmentally friendly materials. The softshell fabric moves with you while keeping you warm in windy summer weather. Wide stretch ribbing at the hood, hem and sleeves pays tribute to bomber jackets of old; two zip pockets cache your smaller items. A versatile, laid back design that pairs well with a wide variety of looks for modern urbanites. The Vaude Green Shape label stands for environmentally friendly, functional products made from sustainable materials.